It was foreseeable that Leinemann would bless the temporal. After more than six years of constant stress 'on the road' - first in pubs, on small town stages, city festivals, then in large halls up to the Berlin Philharmonic - the weakened batteries were simply empty. The band had changed, the interests had become different, Gottfried Böttcher had changed to Udo Lindenberg, and old friendships threatened to break up. In addition, Ulf had begun to become more active as an author and music producer. Lonzo and I played under the name 'Second Hand Music', but what was only meant for personal relaxation quickly became a Hamburg secret tip, filled pubs. We received a record contract with Polydor and even the offer to go on a 60-day tour with Otto Waalkes through Germany, Austria and Switzerland! Lonzo and I immediately realized: This tour was a great opportunity for 'Second Hand Music', but it would also mean the end of the infamous band Leinemann! After the concert in a small North German town in 1976, Lonzo and I informed the band about our departure. In the following weeks the press in Germany dealt with 'condolence reports', radio stations played Leinemann songs in continuous use. TV stations quickly wanted a TV appearance of the band, our record company Phonogram reminded them to abide by the contracts, and our concert agency was simply horrified. The reaction of the band members, on the other hand, was quite different: Ulf didn't care as much as possible, he had other plans anyway, Uli as the original Leinemann and co-founder was flat, but then planned his rock 'n' roll project 'Rudolf Rock und die Schocker'. Jerry decided to finish his architecture studies and Berry became a new member of 'Second Hand Music'. From a small trio to a very personal edification, Lonzo's mighty ambition made him a big and ambitious band with the tongue-breaker name Okko, Lonzo, Berry, Chris and Django! That I would leave my new band after a short time disillusioned and annoyed and long for my boys from Leinemann, I didn't think of that. After the minds (and also the media) had calmed down halfway, the first task was to fulfil the remaining contractual concert and record obligations. First there were many 'last' farewell concerts, then, with the permission of our record company, the LP 'Hit Torpedo' was released, another German-language album and a concession to the situation of a band that no longer existed. This release once again bore the signature of Ulf Krüger and myself, who had become increasingly ambitious as writers and producers. The cover version Romina was a radio hit, but the real Leinemann fan stayed away from the album. With the LP 'That Old Fashioned Feeling' it was over. This disc was a small bow to the roots of most of the band members who came from the early days of beat music (Ulf and Uli had even played in the Star Club), but in the end it remained what it was: an embarrassing solution. That Old Fashioned Feeling' contained a nice cover version of the Kinks hit Tired Of Waiting. And there was also a new singer: Carlo Blumenberg, already known in Hamburg as a rock and rock 'n' roll singer (Thrice Mice, Altona and Dirty Dogs). In the following two years it remained quiet around Leinemann. It wasn't until 1980 that the group was recycled - with a version of the Rockabilly classic Midnight Dynamo, which Ulf and I had re-titled into full steam radio and which promptly stormed into the charts. Leinemann had the first big hit after all these years! Now it went blow on blow: In quick succession it set further hits, e.g. the monster of Loch Ness with the Leinemann even drove to the German Grand Prix preliminary decision. Then came Kein Angst vorm Rock 'n' Roll, Ein Königreich für'n Autogramm von Elvis and finally the German version of Come On, Eileen (Dexy's Midnight Runners), rebuilt by Ulf and myself to Treffpunkt Bärlin, a hit with - you can hardly believe it - political undertones. At the latest now (and after some 'sorrowful' appearances of the band in the notorious ZDF hit parade with the grandmaster of the German hit, Dieter Thomas Heck) Ulf was fed up and said goodbye. That meant a break of at least three years! It wasn't until 1985 that one would hear anything from the rest of the Leinemann group again. But what came next was a real hammer. 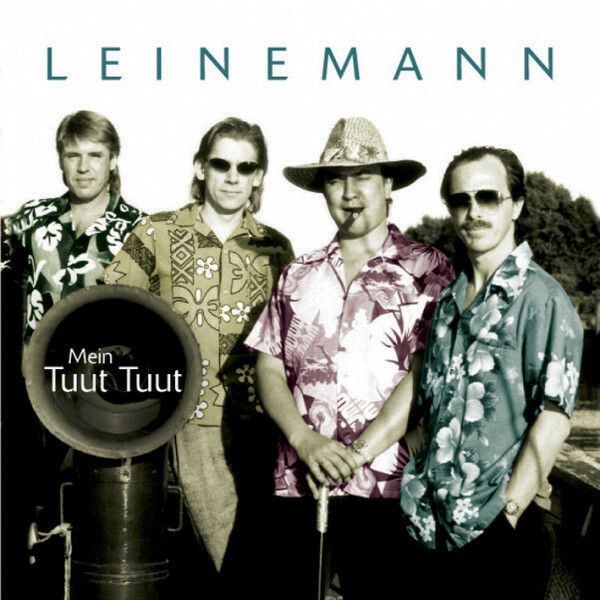 With a German country swing version of the hit My Toot Toot (a Cajun number from Louisiana's swamps), Leinemann conquered all charts. To tell you the truth: I didn't really want to produce this title. Only when Gibson Kemp, among other things celebrated at that time as the discoverer of the band INXS, gave me a loud 'march' did I make my way into the studio. However, the record company rejected the first version as 'too pornographic' - only the second version went through - and triggered the earth-shattering question in half of Germany: What, please, is a "Tuut Tuut"?! Titles like Piraten der Liebe and Alle woll'n das Eine as well as the album 'Tuut Tuut' gave Leinemann another highly successful time in the charts and TV shows. There's a box of beer in Spain, a punk polka Pogues title and the single Nick Nack, a traditional folk song that had become popular by the television inspector Columbo, who whistled or hummed this song when he brought perpetrators to justice, followed. Although they were very successful in radio and TV, they brought little sales. In 1993 the last Leinemann single came onto the market - a version of the Hamburg scene classic Die Dinosaurier (Die Dinosaurier werden immer sadiger), at that time written by the Leinemännern Ulf Krüger and Uli Salm and the English hit writer and producer Steve Glen (among others Hot Chocolate) for the legendary ex-Leinemann Lonzo. 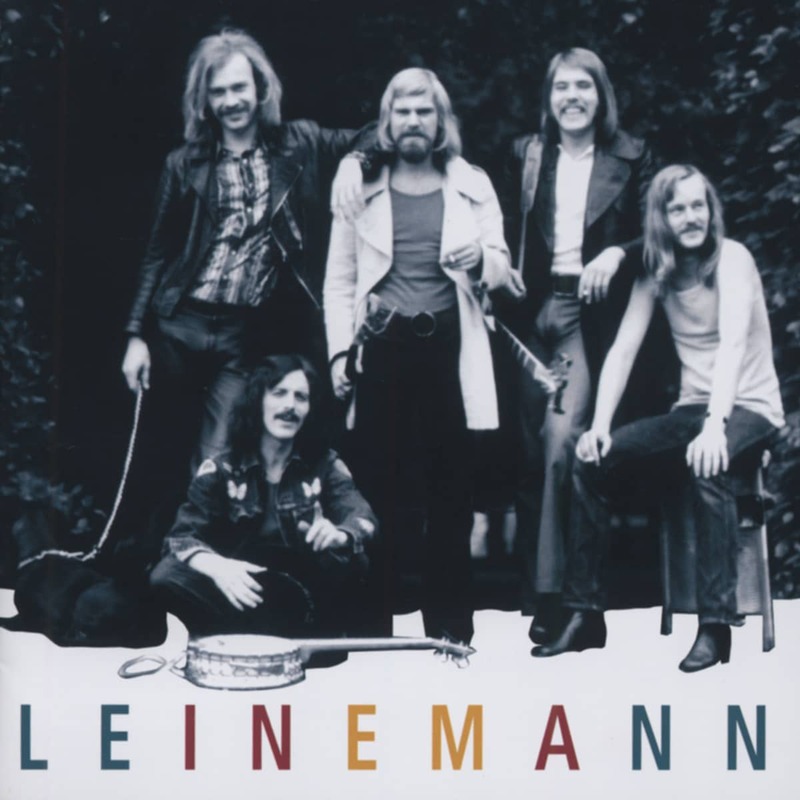 Today, after 35 years, the old Leinemänner from 1969 stand together and (quite successfully) on stage again and again. But if the 'Tuut Tuut' line-up will ever go back to the studio to record more hits - no idea. But who knows: There ain't no age for Rock 'n' Roll. Customer evaluation for "Mein Tuut Tuut"